It can be difficult for business owners to manage their own books in addition to handling their day-to-day tasks. If your New York-based business could use an expert bookkeeper, give B & B Money Management a call. B & B Money Management takes the guesswork out of bookkeeping, providing error-free bookkeeping and accounting assistance for your business. 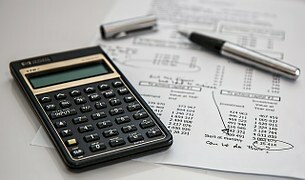 With a long list of services, including tax filing, financial planning, and payroll processing, you can rest assured that your business’s finances are being carefully managed. The experts at B & B Money Management also have some advice about why you should choose an enrolled agent to do your taxes. Enrolled agents are elite-status members of the IRS. They have either passed an in-depth three-part test about individual and business tax returns, or they have past experience as an employee of the IRS. Enrolled agents almost exclusively focus on preparing taxes, although many also are skilled tax resolution professionals as well. Enrolled agents are able to represent taxpayers before the IRS, and must complete 72 hours of continuing education every three years in order to retain their title. Although choosing an enrolled agent to complete your taxes is always a good idea, it's a necessity if you have out-of-state tax returns. Unlike CPAs and attorneys, who are licensed by individual states, enrolled agents can represent taxpayers in any state in the event of an audit or resolution case. It is also a good idea to choose an enrolled agent if you are involved in an IRS dispute. Enrolled agents cost less than taxation attorneys for civil resolution cases, and they have the tax law expertise needed to represent people in tax cases, audits, and appeals. They help make sure that people are treated fairly by the IRS, negotiate the best payment plans possible, and make sure the IRS follows taxpayer protection laws. Visit B & B Money Management online to learn more about their bookkeeping and accounting services, or call (646) 847-9587 to schedule an appointment with them today.